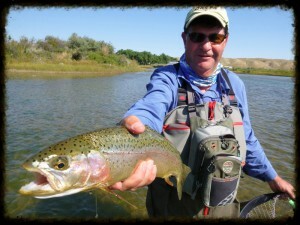 Fishing with us in Montana, it was a pleasure to watch Laurent master a 20 foot leader for nymphs, streamers and dry flies. Laurent casts farther than anyone I have seen with a fly rod. He casts with accuracy, translating into an inordinate amount of caught fish. The idea behind such a long leader when dry fly fishing is creating a longer drag-free drift and an opportunity to hook more fish. Nymph fishing with a long leader means, again, a better natural drift. It also avoids the fly line slapping down on the water so the nymphs act like stealth bombers. The fly line never leaves the eyes of the rod. Any tension in the leader you treat as a strike and act accordingly. – Slow down your casting stroke and wait for the line to straighten on your backcast or things quickly take a turn for the worst. – False casts are also a no-no. Again, things start to unravel quickly. – Seeing is believing. Tie on some colored Dacron into the trail end of the leader to create an indicator. The Dacron is extremely light and delicate. Anything that might resemble a hit, you strike at it. French nymphing requires total oneness with the fly. Richard and Noel part of the Laurent Guillermin posse from France. The learning curve. Is it easier to read Marcel Proust’s “Rememberance of Things Past” in a weekend; or, is it easier to learn to cast a 20 foot leader? This question is a toss up. Reading Proust, you might question your ability to turn the next page, while feeling sleep beckoning you every five minutes. The first thing you notice in casting an uber long leader are your declining motor skills. Both endeavors require patience and persistence. The payoff for a long leader is a highly effective and productive way to fish. The payoff for Proust? Maybe Cliff notes are the way to go. Christian is one of the high priests of French nymphing in France. The Smith River. 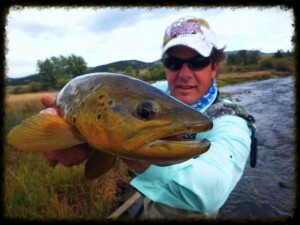 Smith River bookings are doing great this year. 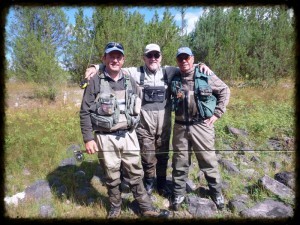 There remains two very good dates July 2 with four spaces available and July 5 for a group of six to eight anglers. Anthony Rabasca is retired Air Force, full time angler and part time poet. If you want to know what five days of floating and fishing are like on the Smith River, listen to Aaron Copeland’s Appalachian Spring. 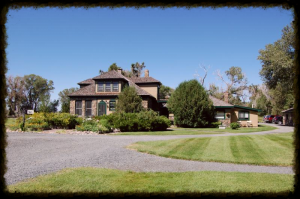 Healing Waters Lodge. Doors open April 16 and close the end of October. We are at your service 24/7 to help you with reservations. ONLY 52 DAYS UNTIL THE SALMON FLY HATCH! 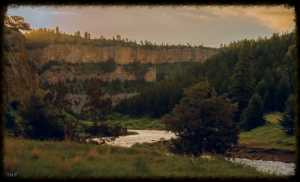 When: Thursday, April 9, starting at 6:00 p.m.
Mike will present information on fly fishing vacations we offer such as Smith River float trips and stays at Healing Waters Lodge.